Ash Plot Purchase (for 1 ash interment)……………………………………$200. Single Plot Purchase (for 2 grave interments)…….….……………..…$950. 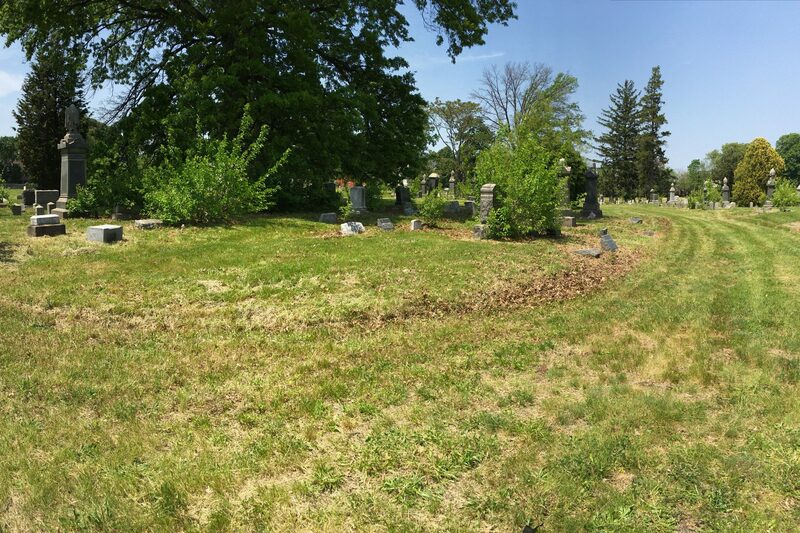 Single Plot Purchase (for 3 grave interments)…….….……………..…$1250. Single Plot Purchase (for 3 grave interments)………………………………$1250. Monument setting cemetery permit and foundation fee…….….………….$50. Existing Monument/Marker Inscription cemetery permit…..…….………..$50. Removal of Monument/Marker for destruction by cemetery……. from $300. Service Charge for returned checks (in addition to bank fees)….…….…$50. 1. Vaults while strongly recommended, are optional for full burials..
3. No Holiday burials (New Years Day, Memorial Day, Independence Day, Labor Day, Thanksgiving and Christmas Day). 4. Monday morning burials will be charged the Saturday rate if the order comes in after 10:00 AM on Friday. 5. No funerals accepted after 2:30pm weekdays. Grave diggers cost $75. per ½ hr after 2:30pm up to 30 minutes past the end of the service. 6. Eco-Friendly burials are welcome with the stipulation the body must be in a container composed of either pine, wicker, card board or ecopod biodegradable materials.